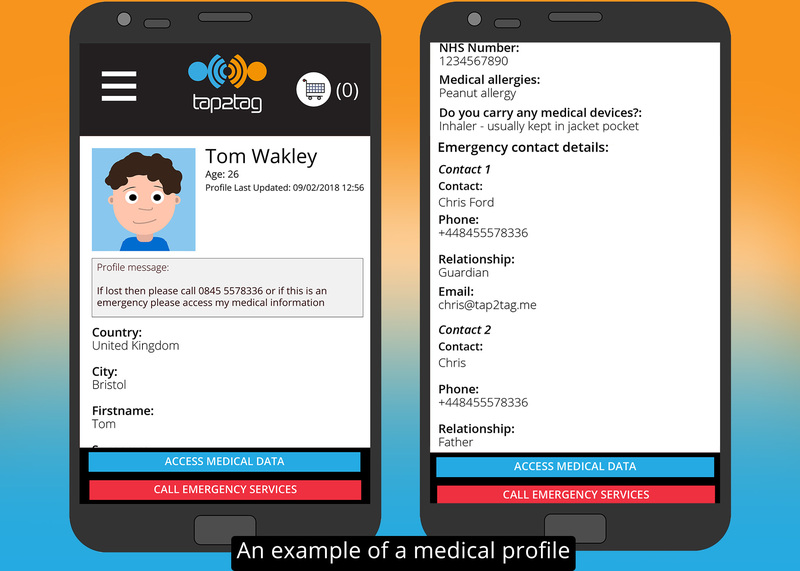 How does Tap2Tag Medical alert work with those with Allergies? Living with a severe allergy is complex and potentially life threatening. In fact, having an allergy is the most chronic disease in Europe with up to 20% of patients struggling daily with the fear of a possible asthma attack, anaphylactic shocl or even death from an allergic reaction. It has been estimated that over 150 million Europeans suffer from chronic allergic diseases and the prediction is that half of the European population will be affected by 2025. An allergic reaction occurs when the body's immune system mistakes something like food or pollen as a harmful and dangerous invader. The body reacts by releasing antibodies called immunogolbin E (IgE). The IgE prompts the body to release chemicals known as histamines. When the histomines are released the body reacts by producing symptoms such as a runny nose, itchy eyes, skin rashes and, in severe cases, anaphylaxis. When considering food allergies the body's immune system is also involved. If you are concerned that you have a medical allergy then it is always best to get this checked out by a medical professional. Through a series of tests they will be able to determine the type of allergy you have and the steps you need to take to avoid getting an allergic reaction in the future. With food allergies this may simply be the need to avoid those ingredients that cause the reaction. But allergies can also be caused as a result of intolerancies to peanuts, nuts, bee stings and even some drugs used in x-ray tests, particularly when given by injection. With allergies it is time critical to be able to convey to a first-responder the reasons why you may be unwell. In particular you may already be carrying an adrenaline syringe that should be used when having an severe anaphylaxtic shock. Of particularly importance is the need to be able to share that information with medical personnel in the event of a medical emergency. 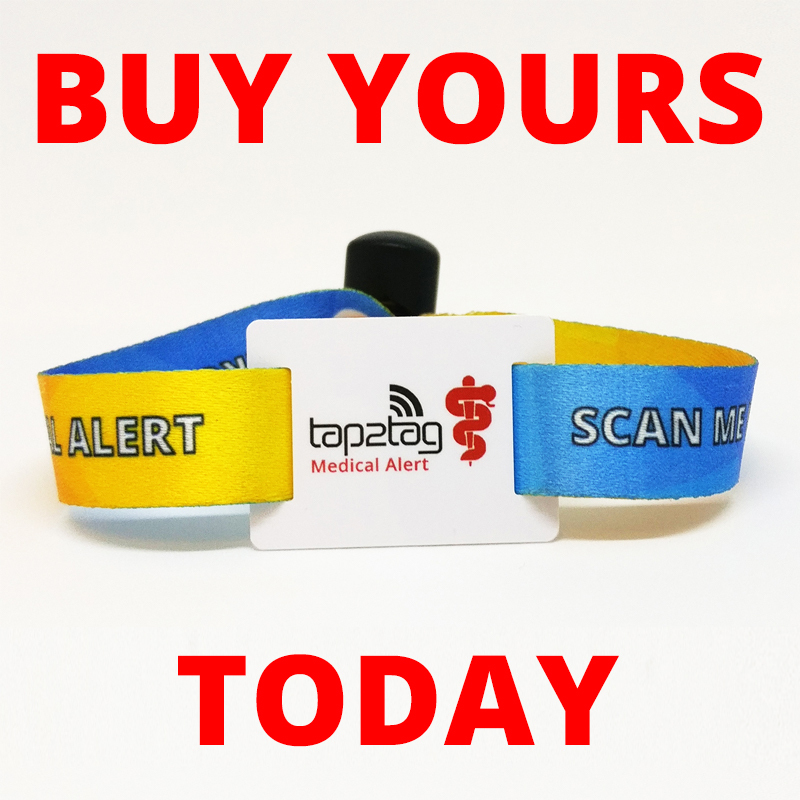 At Tap2Tag we believe that you should take control of your medical information and be allowed to determine what you disclose at the appropriate time. Anyone with a complex medical condition would have been advised by their health professional to purchase some sort of medical alert device. If you have been newly diagnosed or living with severe allergies then it is vital that you and other healthcare professionals can access your medical information quickly and efficiently. 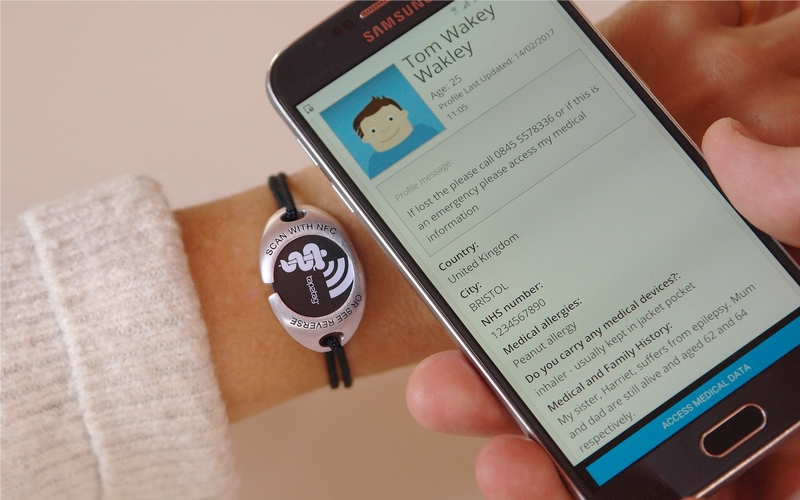 Costing from as little as £5.49 for a wristband this could give you the peace of mind. There are a number of communities that can give dedicated advice to those with allergies. We have listed a few below.